It's like lasagna but better! 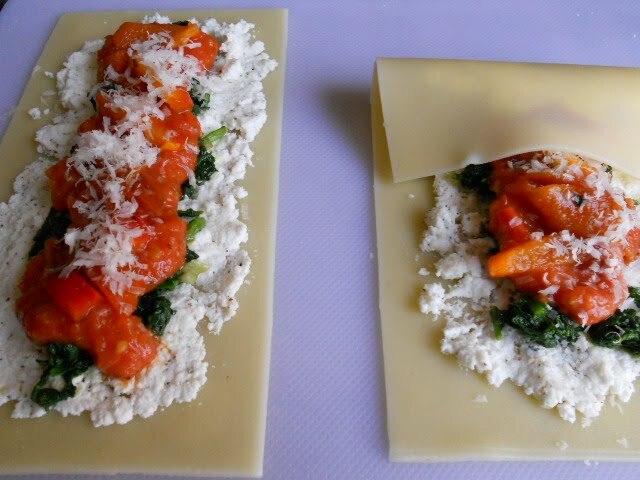 Start with 4 lasagna sheets boiled al dente. Add a layer of ricotta/paneer mixed with salt and oregano. And a layer of spinach sauteed in olive oil with some garlic. Drizzle some roasted marinara sauce and add a layer of roasted peppers. Now sprinkle some parmesan. Well, mozzarella if you like but I prefer parmesan. Arrange in an ovenproof dish, cover with marinara and more parmesan. Bake in an oven heated to 220C until the cheese melts. And voila! 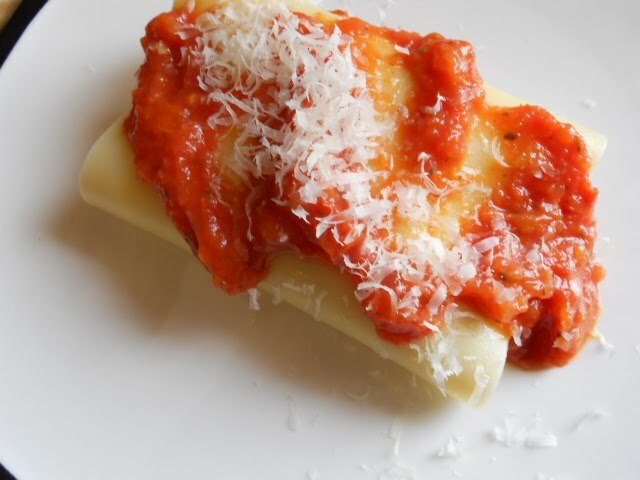 picture perfect lasagna rolls. 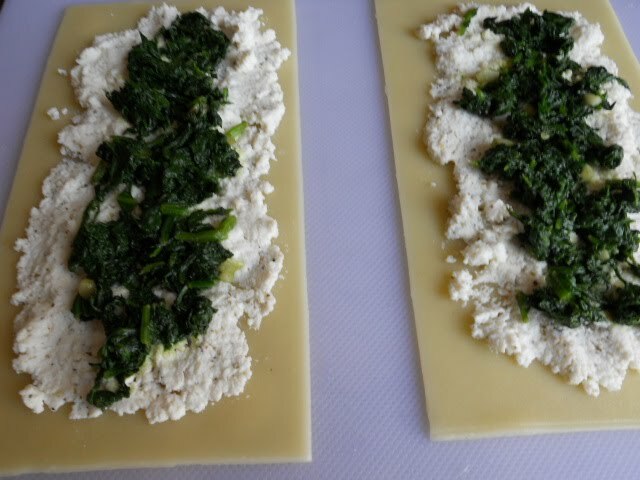 I am a recent lasagna convert..cant wait to lay my hands on lasagna sheets..I am going to try this for sure..what a cool idea!! 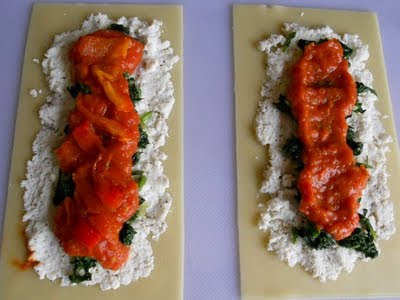 Im sure this lasagna tasted great.Great idea.Should try this sometime.